Looking for Composite Decking Prices? You may or may not have already decided on the location of your new deck. In doing so, you should consider the direction of sunlight, rain and wind, to ensure the location is ideal. This will indicate what sort of weather conditions your deck will have to withstand. 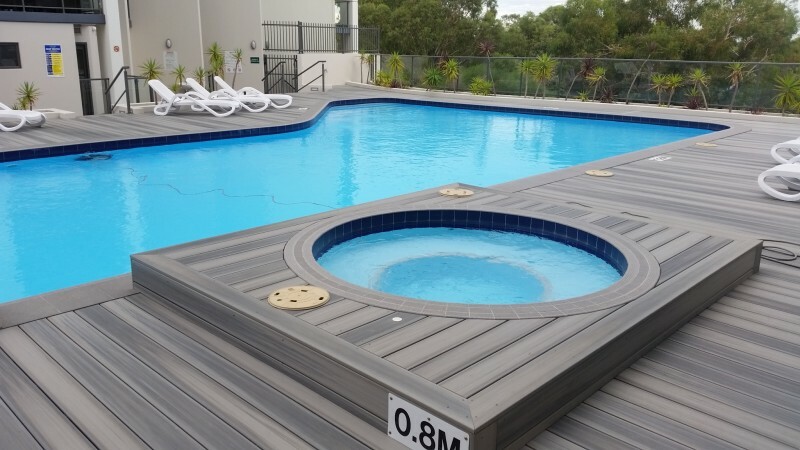 Make sure you select a composite timber that is suitable for the climate and location of your deck. Each brand of composite timber has a contrasting range of colours to select from. Consider the vegetation and/or structures that will surround the deck, along with the style of furniture you will add, when making your decision. By selecting an aesthetically pleasing colour scheme you will create a seamless flow between the deck and it’s surrounds. 2) New Tech Wood® is a natural looking composite that you never have to sand, oil or paint. It is resistant to pests and termites and comes with a 25 year warranty. Contact Paul today to learn more about composite decking prices.